Download these 10 free Lightroom Instagram Presets if you want to get that Instagram look on the photos taken by a digital camera. 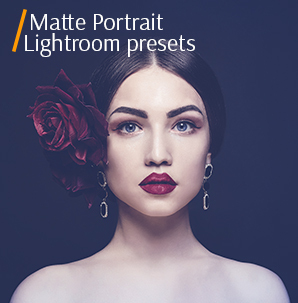 Instagram Lightroom presets are pre-made Lightroom plug-ins that are usually designed by individual retouchers or photographers. You can download them from the website and use to enhance many photos fast. 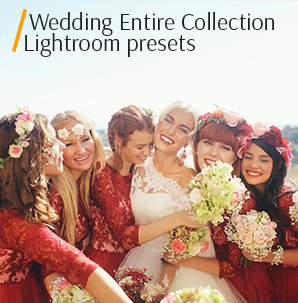 These presets are compatible with all Lightroom versions. Having downloaded Lightroom presets for Instagram helps you achieve the desired effect with minimum time spent. These Instagram presets are useful not only for professionals, but also for beginning photographers, bloggers or people, who wish to make their Instagram photos pop. Instagram is a free and simple way to advertise your services and goods, inform people about your business, or simply share your creative photos. According to the recent statistics, Instagram pictures are edited more often than blog posts and this is the main reason why you need quality and beautiful Instagram Lightroom presets. Using these filters, you may quickly do color correction, add specific effect, create a consistent look of many photos, and realize your creative potential. All matters if you want to attract more followers and advertise your profile. These Lightroom Instagram presets are original filters that will suit all photo genres, from wedding to newborn photography. The mixture of colors, patterns and effects will help make images appealing and interesting. Try each preset separately or combine them to see how it affects the photo. LR Preset #1 "Sunny Day"
LR Preset #3 "Orange and Teal"
LR Preset #5 "Film Look"
LR Preset #9 "Rose Petals"
Speed Up Workflow. Every photographer, retoucher or digital artist knows how time-consuming picture editing can be. You may spend several hours until you achieve the necessary look. But with free Instagram Lightroom presets the work becomes an enjoyable game with a guaranteed wonderful result. You may forget about manual regulation of shadows, white balance and other parameters – find the necessary preset and edit your pictures in a single click. Recognizable Style. In addition to fast photo editing, you’ll also enjoy the consistent look of your images. In other words, you may develop a specific photo editing style, so that your clients, viewers and followers will distinguish your projects among other Instagram pictures. Adobe Lightroom presets Instagram are great both for personal and commercial use if you need popularity and career development. Your Instagram account is a simple collection of beautiful photos. They are visual evidence of your professionalism. The photos edited in the same style look better. Keep this in mind when choosing Instagram theme presets. Lightroom Instagram Preset #1 "Sunny Day"
If you have poor lighting conditions, you’d probably take dark or underexposed shots. This free Instagram Lightroom preset is your chance to fix this problem. Apply it to the picture and make colors brighter and more vivid. This filter is effective for outdoor photos, if you want to imitate sunny day atmosphere. Instagram Lightroom Preset #2 "Brighten"
Either you work in the studio or prefer outdoor shooting, this Lightroom Instagram preset will be very useful to give your shots a finished look. It affects the colors, making them brighter but keeping natural. The filter works well for the shots with a plain background, so the main accent will be on the model. Don’t use it for pictures with lots of details of different shades. It is mainly suitable for portraits. Instagram Preset for Lr #3 "Orange and Teal"
This preset was taken from "Orange and Teal"
This Instagram preset for Lightroom primarily balance orange and blue colors, making them pop. Cold tones become warmer, thus the whole picture looks more appealing. It is suitable both for photos taken outdoors and in the studio. Instagram Preset Lr #4 "Portrait"
Every portrait photographer will find the Instagram preset #4 very useful. It happens quite often that you have to shoot outdoors, when the natural light is too harsh and you get deep shadows and distorted colors in the photo. But with this plug-in, you can improve the skin texture and highlight facial details. 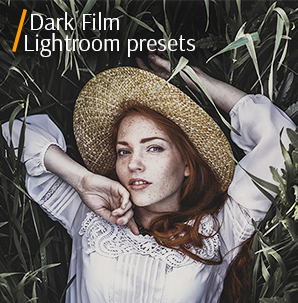 Lightroom Preset Instagram #5 "Film Look"
Have you missed a beautiful film look? Use this Lightroom preset Instagram to make your images look like if they are episodes from a movie. You may experiment with different photo genres, but it is super useful for portrait and street pictures. Don’t use it for posed images. Free Instagram Preset for Lr #6 "Creamy"
Soft, creamy Lightroom Instagram preset helps make photos light. It is suitable for images taken outdoors or the shots with blurred background. Thus, you can smooth the skin tone and focus on the main subject of the photo. You can apply it to portrait and wedding photographs. LR Preset for Instagram #7 "Vintage"
Vintage effect is never out of fashion. That’s why you can’t go wrong with this free Instagram Lightroom preset. Get that old-fashioned look in several clicks. Adobe LR Preset #8 "Chocolate"
This preset was taken from "Chocolate Effect"
Chocolate preset mainly balance darks colors making them even more saturated. That’s why choose pictures with one-color (brown, grey, blue) background, in order to focus all the attention on the model in the foreground. Lightroom Preset for Instagram #9 "Rose Petals"
Rose Petals preset makes images tender and vibrant. No confusing patterns and needles elements. The background is kept blurred, while the person is in the center of attention. It works great for portraits and baby images. Free Instagram LR Preset #10 "Moody"
This Moody Instagram Lightroom preset makes photos more atmospheric. Apply it to images with several moving objects or one person posing against a captivating landscape background. All the details are clearly visible. If your photo lacks bright colors, is oversaturated or too contrast, you can apply free Instagram Lightroom presets to balance all color settings. There are defects, which can’t be avoided while shooting, so you have to do image editing. Instagram presets for Lightroom are what you need. Using these filters, you don’t just share pictures that look dull or even strange. You find quality Lightroom presets for Instagram, edit your shots and only then post them in your profile.